Guest: What the f*ck is that thing? 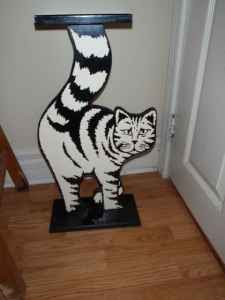 Me: That is the adorable painted wood cat planter stand that I purchased off Craig's List. Guest: Get a f*cking life.